Posted on August 23, 2011, in America, INTERNETS!!!! 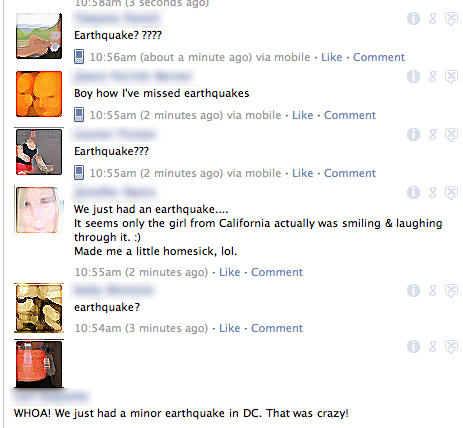 !, ScienceWerks and tagged earthquake, facebook, panic, washington d.c.. Bookmark the permalink. Leave a comment.